Conspiracy fans think that someone – or something – is killing off top UFO investigators around the world. The two latest victims are UFO researcher Gaurav Tiwari, found dead in India under supposedly ‘mysterious circumstances’ – although authorities are treating it as suicide. 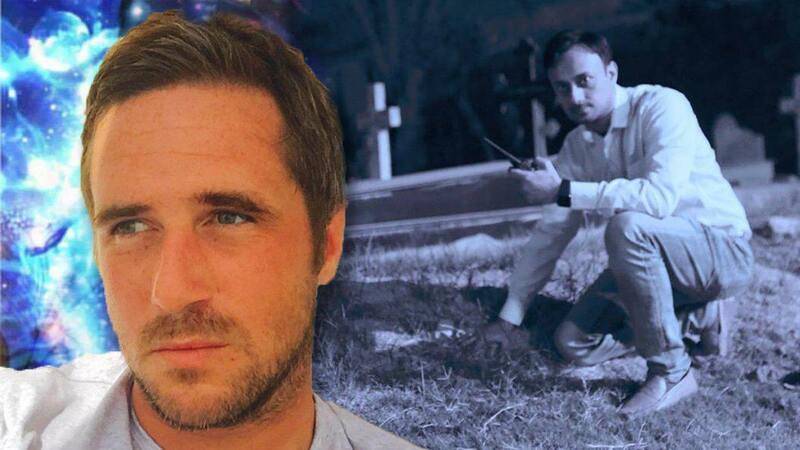 Max Spiers, a paranormal researcher who claimed to have been part of a secret government ‘supersoldier’ programme, died in Poland this month. The cause of death has not been confirmed – but YouTube commenters are already convinced it’s murder. Many conspiracy fans are convinced that world governments systematically kill off UFO researchers – to hide the truth. Nigel Watson author of the UFO Investigations Manual says:As long ago as1971, researcher Otto Binder claimed that at least 137 UFO investigators had died under mysterious circumstances during the 1960s. ‘But, deaths related to UFOs go right back to when Kenneth Arnold first saw a fleet of UFOs in June 1947 and brought about a worldwide wave of ‘flying saucer’ sightings. A bizarre set of tragic circumstances surrounded the so-called Maury Island case. ‘This involved the sighting of six doughnut shaped UFOs by Harold Dahl, that dropped hot slag like material onto his boat, burning his arm and killing his dog in the process. The next day his employer, Fred Lee Crisman, visited Maury Island where he found tons of debris and saw another UFO in the area. ‘Kenneth Arnold was called in to investigate the sighting, and feeling out of his depth he invited two Air Force Intelligence agents, Captain Davidson and Lieutenant Brown to help him interview the witnesses. They weren’t impressed with the validity of the sighting, but took away samples of the debris for analysis. ‘As they were returning to their base at Hamilton Field, California, the port engine of their B-25 aircraft caught fire and they were killed when he crashed near Kelso, Washington State. An anonymous caller to the local newspaper, named the victims before the crash was made public and claimed the aircraft was shot down by a 20mm cannon because it was carrying fragments of a flying saucer. ‘Two men and a dog had been killed, and Kenneth Arnold was nearly added to the list. When he took off from Tacoma, his engine failed and he had to make a crash landing. On checking his aircraft, he found that his fuel valve had been switched off. Paul Lance, a reporter for the Tacoma Times, who covered this story, died suddenly two weeks later of meningitis. ‘Ufologists today now think this was an elaborate hoax that got out of hand, and could have been instigated by a US intelligence agency to discredit Kenneth Arnold’s original sighting. ‘The story gets even more complicated when we consider that Fred Lee Crisman in October 1968 was subpoenaed to go before the Grand Jury in charge of investigating the assassination of John F. Kennedy. District Attorney Jim Garrison’s enquiry thought he resembled one of the three tramps arrested near Dealey Plaza, Dallas, Texas, on the day of the assassination and believed he was a long-standing CIA employee. ‘Furthermore, according to UFO conspiracy theory, the CIA killed President Kennedy because he wanted to share UFO secrets with the Soviet Union. In addition, Marilyn Monroe was allegedly murdered because she was speaking too freely about UFOs. The night before her death she had spoken to the TV celebrity columnist Dorothy Kilgallen about the Roswell saucer crash of 1947. Kilgallen subsequently died under mysterious circumstances on 8 November 1965. ‘This shows how these various deaths can be woven together to support the idea that the truth about UFOs and alien visitations is being suppressed and discredited. ‘Many of these cases could be coincidences or people trying to make something out of nothing. There are certainly some strange incidents, for example, UFO researcher Philip Schneider’s became increasingly fearful for his personal safety; ‘government vans’ followed him and several attempts were made to run his car off the road. Eventually, his worst fears were confirmed in January 1996. A friend broke into his apartment in Willsonville, Oregon, where his dead body had been rotting for several days. At first, it was thought he had died from a stroke, and then an autopsy found that rubber tubing had been wrapped and knotted around his neck. ‘The official verdict was suicide but his former wife, Cynthia, and several friends could not accept this. He was found with his legs under his bed and his head resting on the seat of his wheelchair – an unusual position for a suicide – and there was blood nearby that did not seem to be Schneider’s. His lecture material and UFO writings were missing from the apartment, yet valuables had gone untouched.